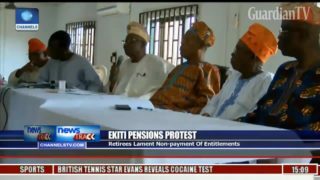 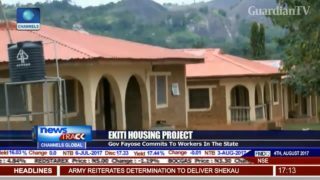 Ekiti housing project - Governor Fayose commits to workers in the state. 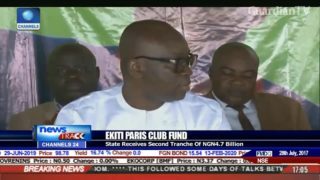 Ekiti Paris club fund - state receives second tranche of N4.7Bn. 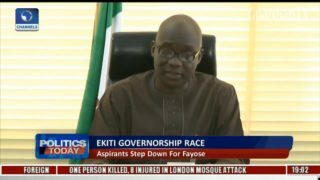 Ekiti governorship race - Aspirants step down for Fayose. 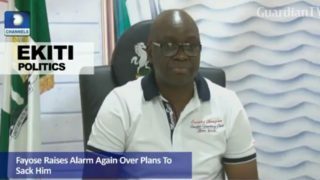 Ekiti politics - Fayose raises alarm over plans to unseat him. 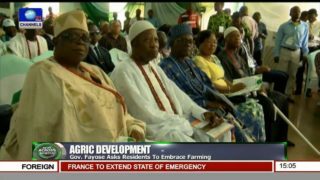 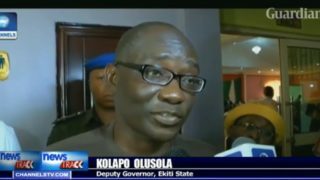 Ekiti state wants agric produce to meet international standard. 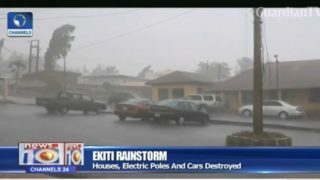 Ekiti rainstorm - houses, electric poles and cars destroyed.